A New Monastic Year with God? Want to go deeper with God, make deep-spirited friendships and bless God’s world deeply? 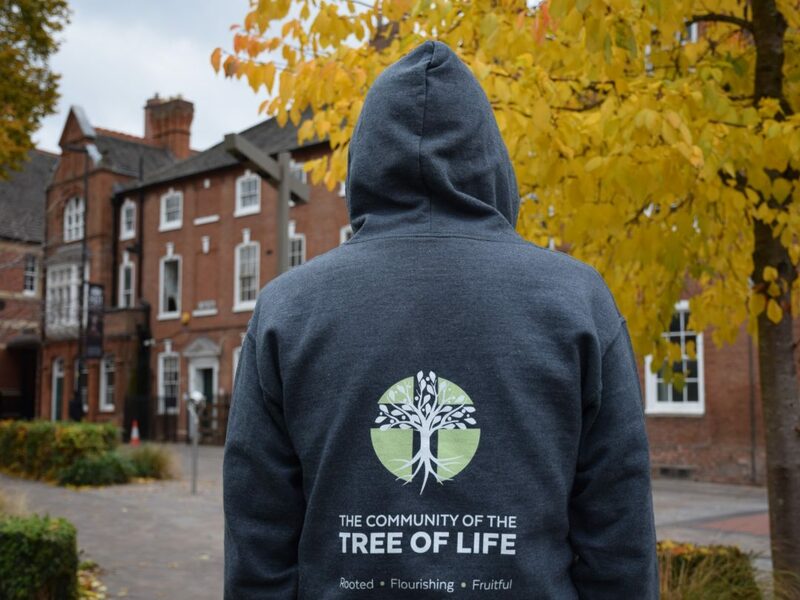 Join the Community of the Tree of Life and explore the ancient rhythms of monasticism whilst living in the heart of Leicester’s vibrant city culture. The Community of the Tree of Life is a House of Prayer and residential New Monastic Community. We’re called to live a life that is rooted, flourishing and fruitful in Christ. What will a New Monastic Year look like? Our New Monastic year will run annually from Sept to July for 20 – 35 year olds. Applications are now open for September 2019. Right now, we’re offering a unique opportunity for 6 people to join our formational Seed Community. Share this adventure with us from 1st Feb 2019 – 21st July 2019. These practices will be explored through daily, weekly and seasonal rhythms including daily offices, community enterprise, church placements, social action projects, pilgrimage and personal study. We’re inspired by the story of the Franciscan Grey Friars who walked the streets of Leicester praying, preaching and blessing the poor for 300 years. Their radical love for Jesus caused them to live lives of complete abandonment to the Gospel. Today, 500 years since their Friary was destroyed, God is rebuilding their ancient house of prayer to bring blessing to the city again. We are not charging fees. Money should not be a barrier. Simply put, we ask everyone to give what they can, sacrificially, towards the cost of living in community.